Please come along and vote for your favourite artist! 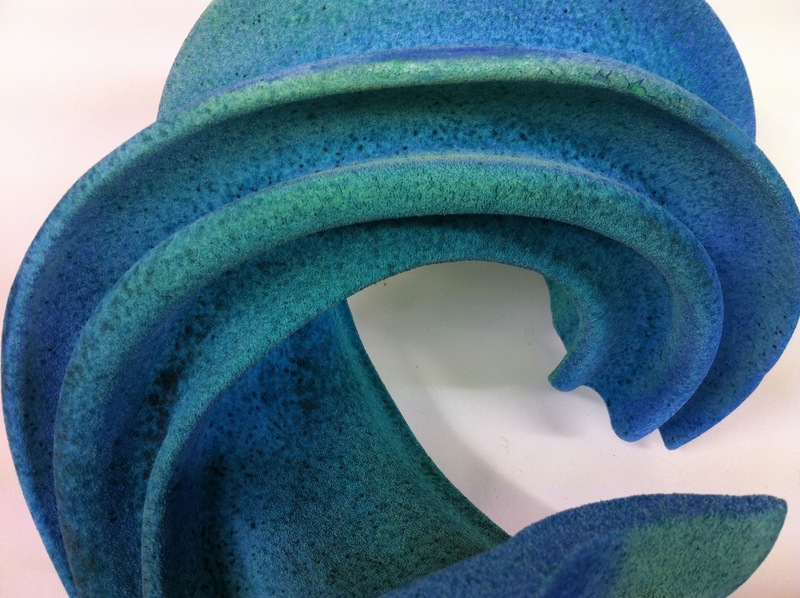 Ceramic Review May/June issue No 285How is it done? 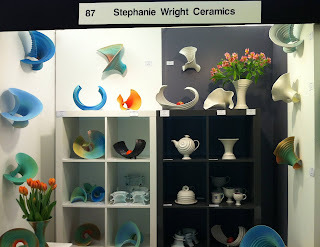 Stephanie's methods and techniques will be revealed in a step by step Masterclass due to appear in the May/June (issue no 285) of Ceramic Review, Britain's top ceramics publication. An accompanying video will appear on the Ceramic Review website. August 2016 The Society of Designer Craftsmen held their annual show, Designer Crafts on the Mall, at the Mall Galleries this year in August. I showed my Wave Series, including Rainbow Slice, my new wall installation. Join the 14 artists for fizz and 10% off all work. An exhibition of local artists’ work reflecting on the point where land meets the sea. Order with a click or two online and have your pieces delivered to your door. 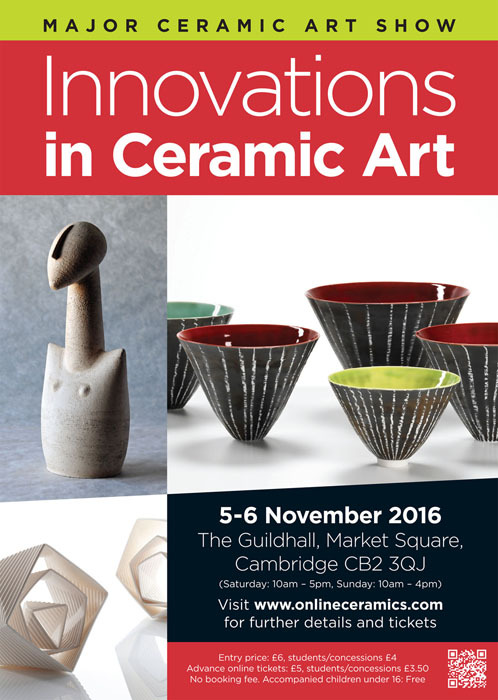 The Society of Designer Craftsmen is pleased to announce the 25th Designer Crafts exhibition at the Mall Galleries. Closes at 4pm on Saturday 17th January. 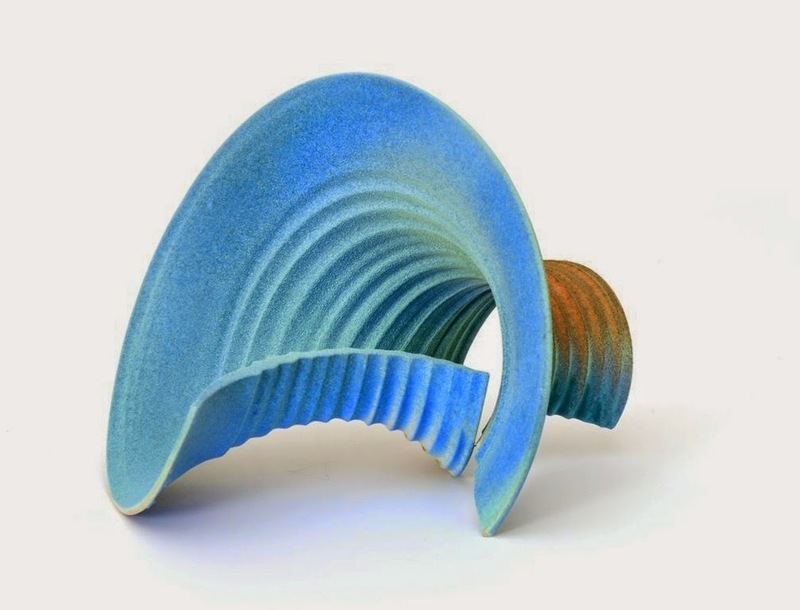 The exhibition will provide visitors with the chance to view, buy, or commission work from exhibitors from a range crafts including textiles, jewellery, furniture, ceramics, metal and glass and mixed media. 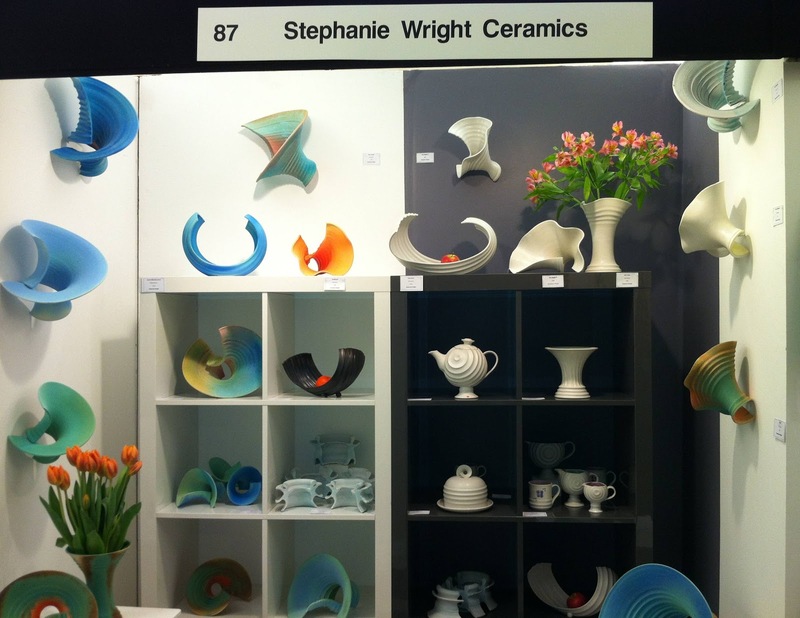 In addition to the exhibited pieces, a wide selection of designer craft works will be available to buy and take away from the “Shop within the Show”. This has been postponed due to damage discovered in Battle Abbey ceiling - so you haven't missed it! New date will be posted as soon as it is announced. Society of Designer Craftsmen Show at the Mall Galleries. January 10th-19th 2014. I am busy preparing work using mixed media to suggest domestic objects. I am really indulging in the hunt for meaningful found objects to incorporate in these sculptural pieces - antiques fairs are the latest hunting-ground. Beaches in Iceland and the Brockham bonfire (the morning after) have also yielded great bits. Firecrackers 19th - 1st December 2013 12-7pm late night Thursday private view open until 8pm. 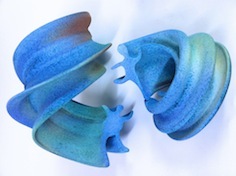 Joint Exhibition with Adam Aaronson of Aaronson Noon Glass. Adam has a fabulous selection of exquisite glass sculptural pieces and baubles for christmas. Society of Designer Craftsmen Gallery, Rivington Street (near Old Street Tube Station) London. The ShedArt exhibition starts on Saturday 5th and Sunday 6th October from 11am to 5pm daily. ShedArt Gallery and Studions, Harlow House Barn, Dukes Road, Newdigate, Surrey, tel 07851 741395. Exhibited work will be for sale in the region of £100 -£5,000 at this annual juried exhibition with awards. Exhibited artwork will be for sale in the region of £100-£5,000 at this annual juried exhibition with awards. 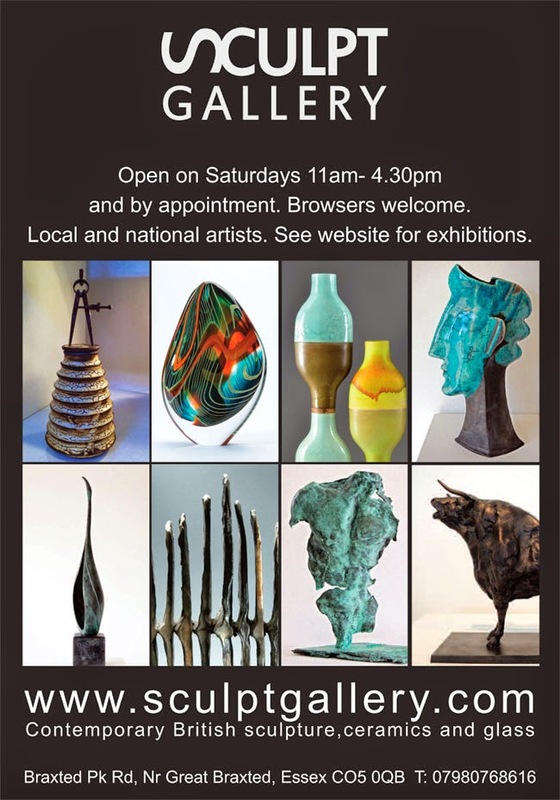 Yehudi Menuhin Hall Dorking Sculpture Society May 2nd -July 15th 2013 Open for the concert and lecture season. 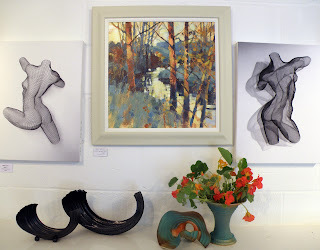 December 2012 - Surrey Artists Open Studios for Christmas was hampered by the weather but visitors were glad of a chat and a nose around while sipping a glass of wine in our lovely light warm studios in the centre of Dorking. Sun 9 -Tues 11 December; Fri 14-Sat 15 December, 2-6pm. 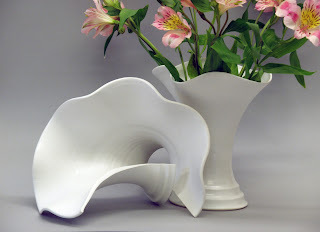 November 2012 - Handmade in Britain at Chelsea Town Hall in November was a great opportunity to offer tableware and sculptural pieces in the run-up to Christmas. October -February 2012 Everyday Encounters - last few weeks! This is to let you know of an ongoing exhibition ‘ Everyday Encounters’ at the newly refurbished William Morris Gallery in Walthamstow (at the North East end of the Victoria Line). The museum, housed where he lived as a teenager, has a wonderful collection of his work and information about his many interests and strongly held political views. There are rooms of pull-out drawers with his drawings, books, writings and designs, so you will need plenty of time to take it all in. There is a lovely café too, so altogether a worthwhile day out for anyone interested in the history and aesthetics of the of the Arts and Crafts movement. Open Wednesday to Sunday 10am -5pm. My work will be displayed at the exhibition ‘Everyday Encounters’ (see link below) from Saturday October 13th until February 3rd, 2013. 2012 Maundy Todd Sculpture Garden and Gallery. Exhibited at Summerfest, Bartlesville, Oklahoma, USA.